Forward Madison FC has signed attacking midfielder Jeff Michaud to its squad for the 2019 season. The 25-year-old midfielder joins the team after winning a championship with Miami FC in the summer of 2018. 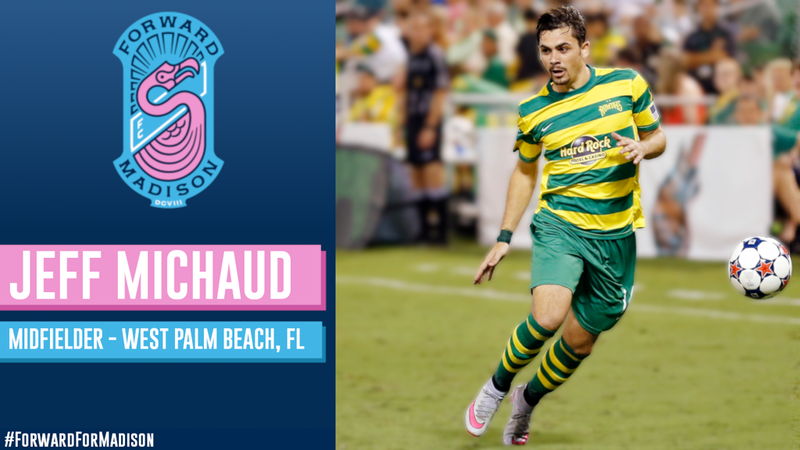 Michaud has also represented the Tampa Bay Rowdies and Wilmington Hammerheads during his professional career. In particular, Michaud has developed a habit of finding the back of the net during the U.S. Open Cup, the oldest and perhaps most prestigious soccer tournament in the United States. Forward Madison will enter the Open Cup’s 106th edition next season with a man who has scored six goals in the competition, including one against Major League Soccer’s Real Salt Lake. Shore coached Michaud earlier this year in Miami, and he was present as Michaud scored in both the semifinal and championship games. “We are excited to add Jeff to our team and are looking forward to what he will bring to our team both on and off of the field,” Shore said. According to Michaud, he’ll be looking to do more of the same in Madison.